Going into a year that has already seen high-profile releases like Uncharted 4: A Thief’s End and Quantum Break being delayed to next year, there’s nothing to scoff at just yet for E3 2015 being an “uneventful” year, in particular with this year kicking off a little early thanks to Bethesda Softwork’s Sunday night press conference. Marking a major first time event for the developer/publisher behind The Elder Scrolls and Fallout series, Bethesda’s first E3 press conference is officially set to kick off on Sunday, June 14th right before the big show begins: so, what exactly can we expect from Bethesda at E3 2015? While the company has already teased some of its big announcements (a new DOOM) and in some cases flat-out shook the earth with other announcements (Fallout 4), here’s a look at what we just might see as DualShockers explores what to expect from Bethesda’s pre-E3 showcase. 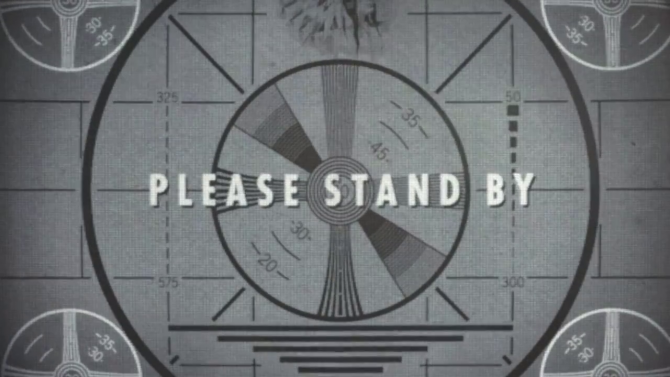 For those that happen to live under a rock (and if you do, hey: no judgment at all there), Bethesda let loose what may be its biggest gun at E3 2015 with the official reveal of its long-awaited Fallout 4. For the “TL;DR” version: people went NUTS. After years and years of expectations for the follow-up to the series’ two most recent entries, Fallout 3 and Fallout: New Vegas, last week brought the first trailer for Fallout 4 and, appropriately, it brought just as many answers as it did questions for the latest entry in the series. With (what many saw as) an inevitable announcement out of the way, it seems clear that Bethesda is going to feature Fallout 4 pretty heavily during its pre-E3 showcase, even if the cat is out of the bag for the game being actually announced at the conference. Instead, it seems likely that the conference will feature a gameplay reveal of the title for a more in-depth look what fans have been waiting for in Fallout 4. Will the game’s release date also be revealed? I’d be willing to put a firm bet on it and say “Yes”: whether it is coming in 2015 or not remains to be seen, but my guess is Fall 2015, with the absolute latest that we (finally) get our hands on Fallout 4 being some time in 2016. Prior to Fallout 4‘s announcement last week, Bethesda also dropped another more surprising reveal right before with its teaser for a new DOOM title, providing (in some cases) a wait that has been even longer than that of a new Fallout. Since the release of DOOM 3 in 2004 (and a subsequent expansion and re-release later on), one of id Software’s marquee series has been relatively quiet, though the teaser video from Bethesda indicates that DOOM is coming back in a big way with a new title to see its premiere during the company’s press conference. With the teaser giving brief glimpses at the new title, I would easily expect at the least a trailer for the new DOOM along with some glimpses at gameplay, though whether there will be a full-on gameplay demo on stage is up in the air, depending on how far along the game is. Following The Elder Scrolls Online seeing a rapid change to a free-to-play format this year with the release of its Tamriel Unlimited edition, the long-awaited Elder Scrolls MMO debuted this week on PS4 and Xbox One, and while it may not be the Elder Scrolls many have been waiting for following the exceptional Skyrim in 2011, it would be likely for ESO to play a part in the company’s announcement lineup this Sunday. In particular, I would easily expect either new content announcements, or more likely, the game’s first full-fledged expansion to be announced during Bethesda’s E3 conference to follow-up the game’s console release this month and for the game’s first year out. Even if ESO may not have had the runaway success of other MMOs such as World of Warcraft or Final Fantasy XIV, I don’t think Bethesda is ready to give up just yet and instead will be looking to expand and grow its massive multiplayer title. 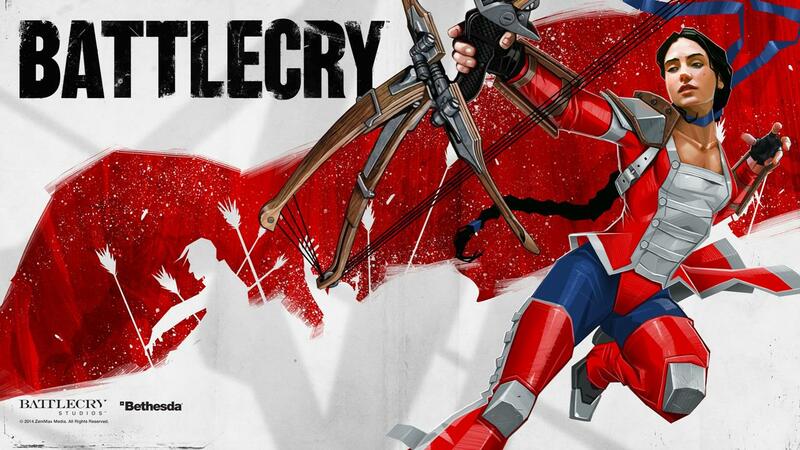 On a final prediction note, last year Bethesda also opened up to the free-to-play/multiplayer arena with its title Battlecry, a new F2P endeavor from a new studio and likely another of the titles expected to receive a share of the spotlight at Bethesda’s E3 conference. 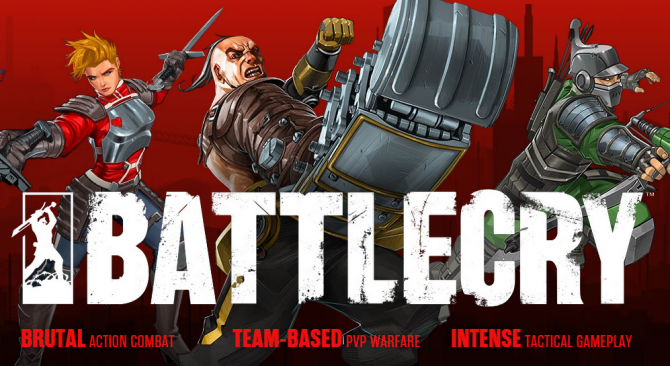 While the game has been shown little outside of last year’s E3 2014, I think it’s more than fair to say that Battlecry will be shown once more, along with (possibly) a release date/window and a closer look at the game’s online multiplayer action. 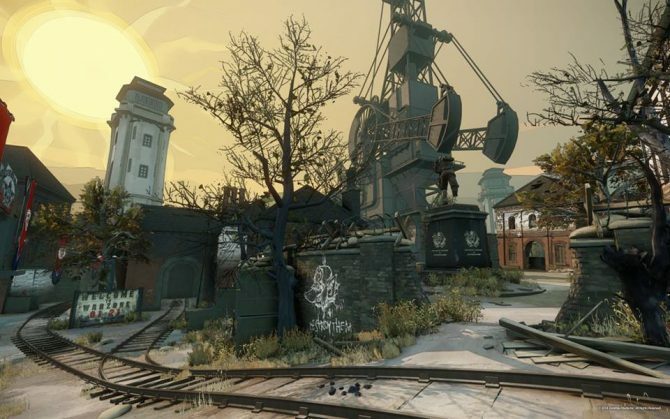 Given the growing prominence of free-to-play games in the current gaming landspace and competition from several other studios, most notably Blizzard’s upcoming Overwatch and Gearbox Software’s similarly-named Battleborn, I don’t think Bethesda will want to sit much longer on Battlecry to avoid being skipped or lose a marketable audience to its rapidly-approaching competition. While Fallout 4, a new DOOM on the horizon, The Elder Scrolls Online, and Battlecry will be some of the biggest draws during Bethesda’s E3 press conferences, perhaps what is most intriguing at this point are the unknowns for Bethesda and its various developers. 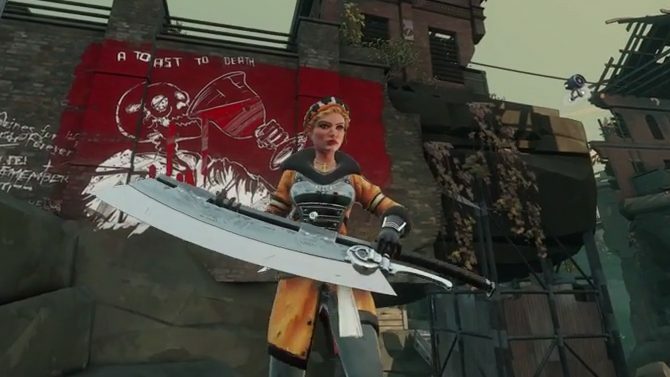 As the first of the publishers to be presenting a conference, it’s anyone’s guess what other surprises that Bethesda may have in store right before E3 kicks off, though there are still numerous possibilities for the games that might make an appearance at Sunday’s conference (or, at the very least, are big “wish fulfillment” requests from fans if Bethesda is listening). 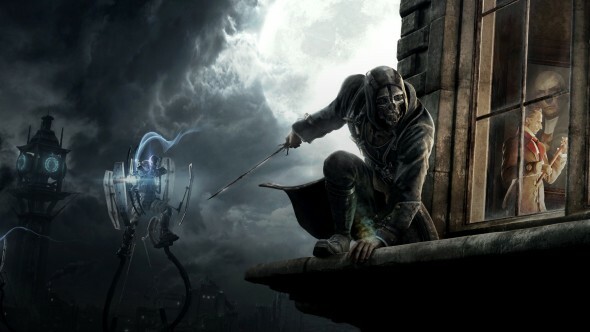 Among all of the rumored titles to be in development is a new follow-up to Dishonored, the 2012 stealth-action title from developer Arkane Studios that drew as much critical acclaim as it did great sales and a strong reputation as one of last generation’s most intriguing new IPs. Given nearly three years has passed now since Corvo’s debut adventure, it’s hard to say whether a new Dishonored is a sure thing for the time being: only vague rumors have supported that a new title is in development, though the gap between the first title and its incredibly positive reception leaves little to the imagination that a new Dishonored is on its way. My prediction? A trailer for a new Dishonored, and a fall 2016 release: just a hunch more than anything, but still seeming extremely likely. While Bethesda Softworks has had its share of hits and misses over the course of moving into the publishing side of things, last year’s highly-anticipated The Evil Within brought more of a lukewarm response than what many were anticipating. 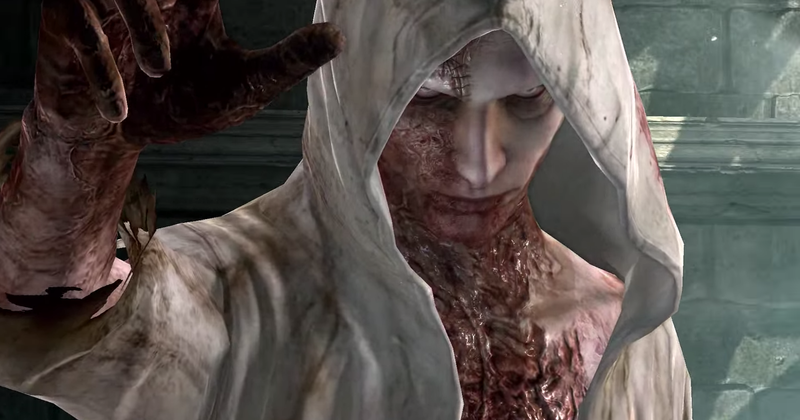 Highly-touted as Resident Evil creator Hideki Kamiya’s return to “true survival horror,” The Evil Within brought stunning visuals and memorable creature designs alongside a largely forgettable, confusing story and messy gameplay mechanics, common complaints among the game’s mixed critical reception. However, subsequent DLC expansions and add-on content through the game’s Season Pass elaborated on the The Evil Within‘s story and, in many ways, often surpassed that of the original title. Despite its mixed reception, the pedigree of the talent behind the game and the door now being open for developer Tango Gameworks to work on a new project could lead to a sequel in the series: whether that will be announced at this year’s E3 or not seems highly unlikely, but I wouldn’t leave it outside the realm of possibility for another chance at having The Evil Within shine. On the other end of the spectrum, last year’s Wolfenstein: The New Order (and this year’s follow-up, Wolfenstein: The Old Blood) marked a big boost for both Bethesda and developer MachineGames in dusting off a somewhat stagnating franchise, and instead reviving it with the incredibly well-received The New Order. By defying expectations and instead garnering great reviews and multiple nods toward “Game of the Year,” last month saw the series continue further with the standalone downloadable title Wolfenstein: The Old Blood to similar (though less enthusiastic acclaim). With renewed interest in the Wolfenstein series thanks to MachineGames’ work, I don’t think it would be that far off a remark if something new related to the Wolfenstein series were announced, though given the proximity to last month’s release of The Old Blood, it may be too soon to see a new game in the series just yet. With Fallout 4 and DOOM being the big guns going into E3 2015, the announcement of a new Fallout presumably would have been worth the entire lead-up to Bethesda’s press conference if the announcement were left for the conference: however, by announcing the game right before, that leaves the door wide open for something even bigger up Bethesda’s sleeves, or at least so it seems. Though The Elder Scrolls Online debuted last year and released just this week on consoles, it’s been quite some time since we last had a solo adventure in the world of (arguably) Bethesda’s flagship franchise, The Elder Scrolls. After last leaving off with The Elder Scrolls V: Skyrim in 2011, it’s been unclear and unknown where the series is heading next: conveniently, that also leaves enough of a window that we could be leaving the Bethesda conference with the news of a brand new title in the main Elder Scrolls series. 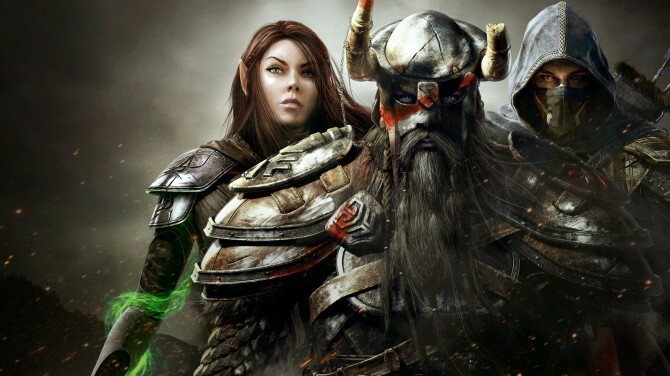 Whether or not that comes to fruition is up in the air between “likely” and “unlikely”: given the re-focusing of The Elder Scrolls Online to a free-to-play format and the announcement of Fallout 4, announcing a new Elder Scrolls game right after seems a bit like taking the wind out of both those sails. Though personally I doubt the appearance of a new Elder Scrolls game is going to happen, whether it be a teaser trailer or brief gameplay reveal, it’s definitely an announcement that is not far from the realm of possibility. 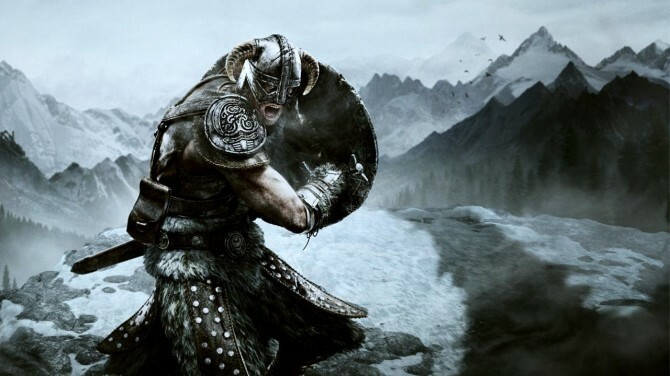 Given nearly 3.5-4 years since the release of Skyrim and fans itching for another taste of The Elder Scrolls‘ world on current generation consoles, it’s definitely clear that the next chapter of The Elder Scrolls is coming in the future: whether or not it’s coming at this year’s E3 is up in the air, though I think it’s not going to be likely. With E3 next week and anticipation at an all-time high, Bethesda’s E3 press conference is easily something to be excited about. Kicking off the show with its first-ever press conference right before the big fireworks go off from the likes of Microsoft, Sony, EA, and Ubisoft, it’s clear that Bethesda has plenty to be excited about and show, even with one of the presumed megatons (pun intended) announced with Fallout 4. With a strong stable of franchises under its belt like Wolfenstein, Dishonored, and the always massive The Elder Scrolls, Bethesda’s big (and first-ever) press conference has me the most excited out of all the conferences for this year’s show: luckily, we only have just a few more days before we get to see just what exactly Bethesda has in mind to make E3 2015 the time and place for its first press conference.